MANY Catholics spend hours pondering what to give up for Lent, but this year, Evangelisation Brisbane is offering something to take up instead – the Lent 2019 Compassion App. Evangelisation Brisbane assistant director Troy Tornabene designed the application. It was the first time Mr Tornabene built an app, but even so, it was released a year ahead of schedule. Mr Tornabene said the idea for an app came from a planning session for the 2020 program. 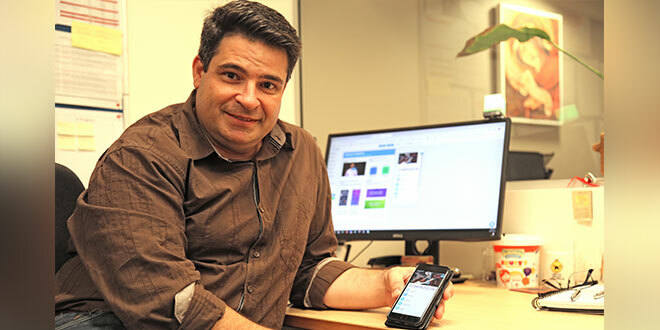 He designed the app through third-party template software and, because of how quickly the app was coming together, people around his office were wondering why they should not release it for Lent 2019. “What it offers is an opportunity for people to engage with the Lenten journey, from preparation leading to Easter, that they may not have had an opportunity to do before,” Mr Tornabene said. Parishes often buy resources and group events are organised for the Lenten journey. But it became apparent to the Evangelisation Brisbane team that the app offered a Lenten journey for a demographic that had never been targeted before – individuals. He said the app was great “if you’re homebound, hospital bound, or just don’t want to get together in a group”. “This is not something we’re building for people to sit in a group and use the app,” he said. “It was more for people to engage in it individually. And the app’s content was extensive. It offers most aspects of the traditional group program – opening and closing prayers, Lenten Gospels with text and audio, Gospel reflections with text and video, personal reflection questions, lives of Compassion stories with text and video, and Acts of Compassion. “People will be able to either read, listen to the audio or even watch the videos that are all part of the group program,” Mr Tornabene said. The application sold 81 copies in its first week, which Mr Tornabene said was especially impressive considering no advertisement had been out. He said he was going over the sales statistics and saw the app had sold twice in Europe and twice in the United States. Mr Tornabene joked he was now an “international app designer”. “I really enjoyed (developing) it, it’s a great experience,” he said. It opened the door to new app ideas too, he said. When his team were speaking to priests, the priests often say they were looking for apps for their own parishes, and the Lenten app paved the way for these possibilities. The app is available on the Apple Store and the Google Play store for $1.99.